She just attended the Baking with Betty Event at the General Mills Headquarters in Minneapolis and she is also an Ambassador for the Unilever program over at The Family Dish. Liz just got back from New York City where she spend an awesome weekend cooking in the Univeler Test Kitchens. Thanks so much Kathia for having me! I just LOVE Halloween, and especially all the baking and fun treats that go along with it! 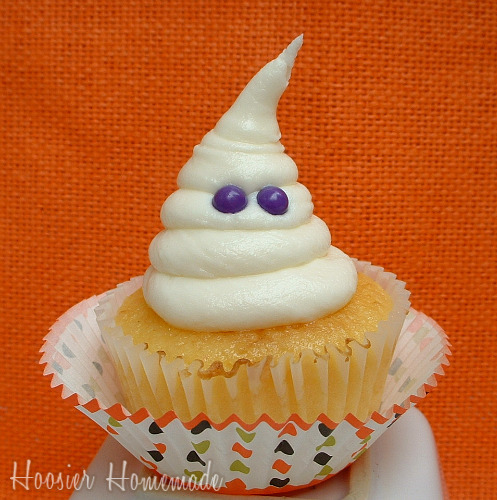 Today I have some very Easy Ghost Cupcakes for you! There are so many great Halloween Cupcake ideas, sometimes it's hard to choose. 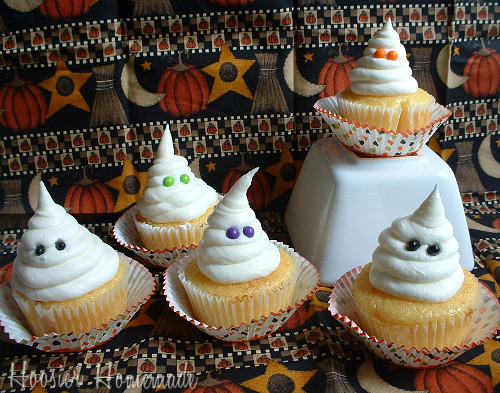 But, if you are pressed for time, or simply want a easy cupcake for the kids to help with, these Ghost Cupcakes are perfect. Start with any cupcake flavor you like, I just happen to have some Butter recipe cupcakes already made. 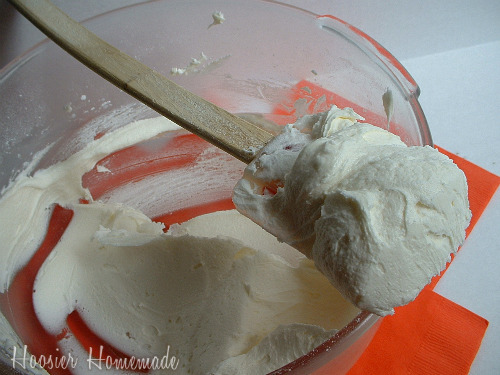 Then you need some frosting, I made Buttercream Frosting, but made it really thick, so the Ghosts would stand up nicely. 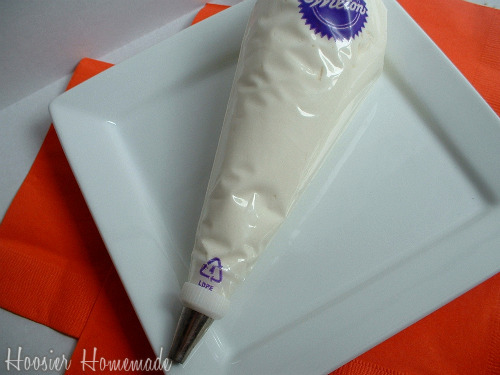 Then simply pipe on the frosting, swirling it to make it look like a ghost, and creating a point at the top. Then add some candy for the eyes. I used black Pastel Licorice and mini jaw breakers. You could also use M&M's or mini chocolate chips. 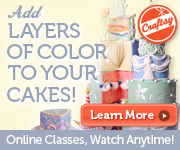 You can find me over at Hoosier Homemade usually surrounded by Cupcakes! 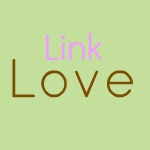 I’ve been blogging a little over a year, I share lots of baked goods and decorating tips and tricks, all to help you “Make Your House a Home.” When I’m not baking cupcakes, you can find me partying over on my other blog, It’s A Blog Party, where I host a different linky party everyday. 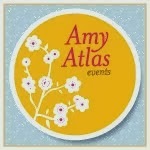 Catch up with me on Twitter and Facebook. Are you baking for Halloween or Fall? We would love to hear all about it! I love these! They're adorable and look fairly simple:) Perfect! A good idea and it looks easy! I love this ghosts cupcakes! SOoooo adorable and fun! 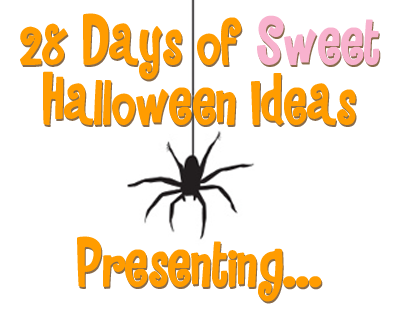 What a great idea for halloween! Thanks so much for having me Kathia! And especially for your kind words! These are SO cute!!! Such a great idea! And I'll bet it's fun to do with the kids. Thanks for sharing! Hehe those cupcakes are super adorable!! I'm making these for my 3 year old nephew's day care. They look absolutely yummy and so simple! Thank you. These are so cute; I'd love to make them. And I especially like how you added another decorative paper to the cupcake wrapper. What a special touch!